This is an incredible deal! We acquired these traditional 3 piece sword sets in a special purchase at a below market price, and we’ve passed the savings onto you! 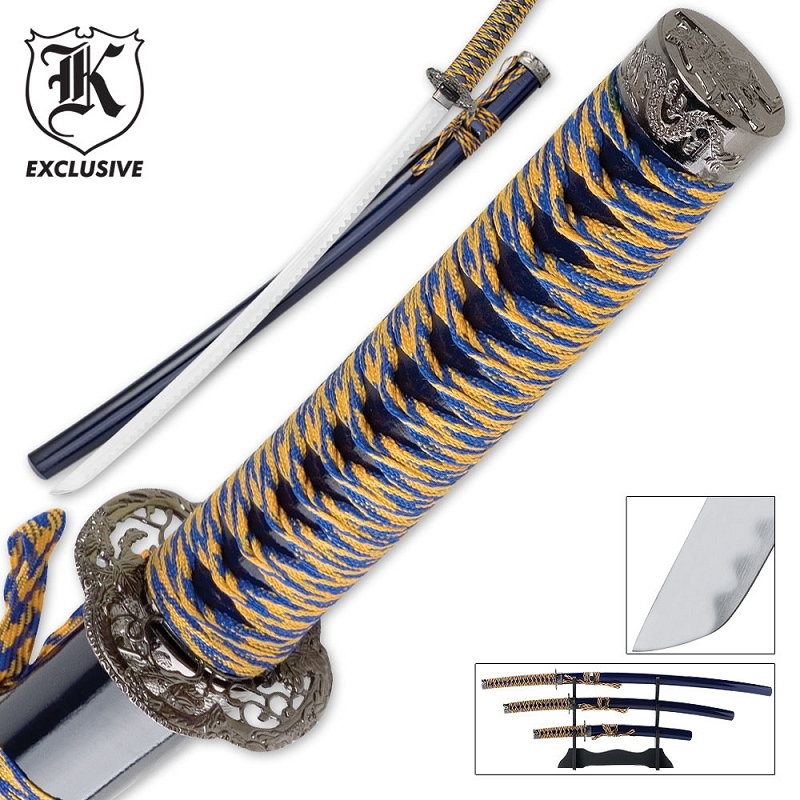 Each sword in the set is equipped with a high carbon steel blade with heat-tempered finish. The nylon cord wrapped handles are attractively accented with cast metal tsuba and pommel. The flaming blue sheath is adorned with coordinating gold cord wrapping. Measurements are: katana: 36 1/2" overall, 25 1/2" blade; wakizashi: 27 3/4" overall, 18" blade; and tanto: 18 1/8" overall, 10 1/2" blade. You will be hard pressed to find this lovely a set at a better price anywhere else! Stand not included.